Little is more annoying to a guitarist than squeaky guitar strings. These squeaks, which are caused by dragging the tips of your fingers across the strings, can make you sound like an amateur in both live performances and recording sessions. Luckily, it is possible to reduce the squeak of guitar strings with a little concentration and a few simple tips. With this advice, you can all but eliminate this squeaking in a few short weeks. Put a set of new guitar strings on your instrument. Old strings have a tendency to squeak more than newer strings. Flatwound or tapewound strings can be used instead of regular roundwound strings to reduce guitar string squeak. But they are more expensive and sound significantly different than roundwound strings. Coated strings can also help cut down on squeak. Try different types of strings, until you find one that works for you. Wash your hands before you play guitar, and run a dry cloth over your strings when you finish playing. This will extend the life of your guitar strings, keeping them from getting squeaky as quickly. 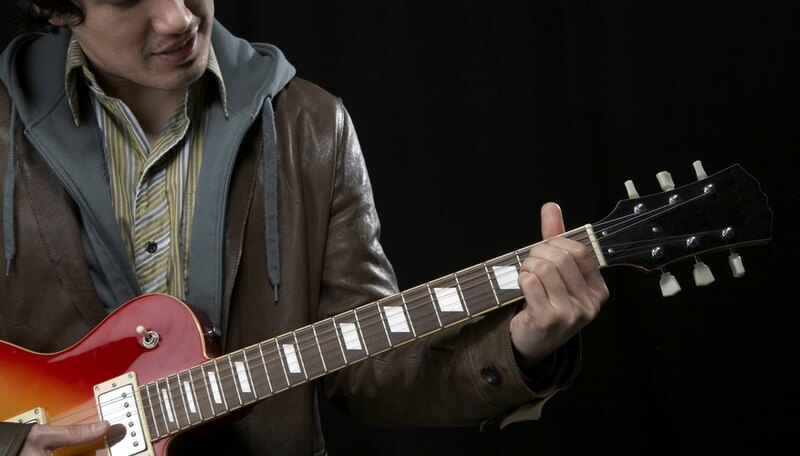 Lift your hands completely off of the strings when you change notes or chords. Experiment with different fret-hand thumb positioning and finger-arching techniques to help facilitate this. This is the best thing you can do to help reduce guitar string squeaking. Use less force when sliding, if you notice squeaking problems when you play slides. You want to use as little force as possible when playing slides. Use guitar string lubricant, if you are still having trouble with squeaking. String lubricant can be bought at any guitar store and usually comes in a spray canister. It is applied directly to the guitar strings, making them slicker and less likely to squeak. However, using guitar string lubricant will change the way the strings feel under your hands. Guitar String Guide: How Can I Stop My Guitar Strings Squeaking?